The viewers of the touristic television programme 'Vlaanderen Vakantieland' elected Kurt and Yves as 'most awesome pub owner of Flanders'. 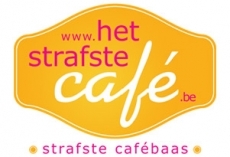 At the same time, the inn was awarded the title of 'most awesome pub of Flanders and Brussels', because of all the cafés in the four categories, the Eizeringen pub got the highest score of all. This competition was organised in 2009 by VisitFlanders and the public broadcasting channel EEN. 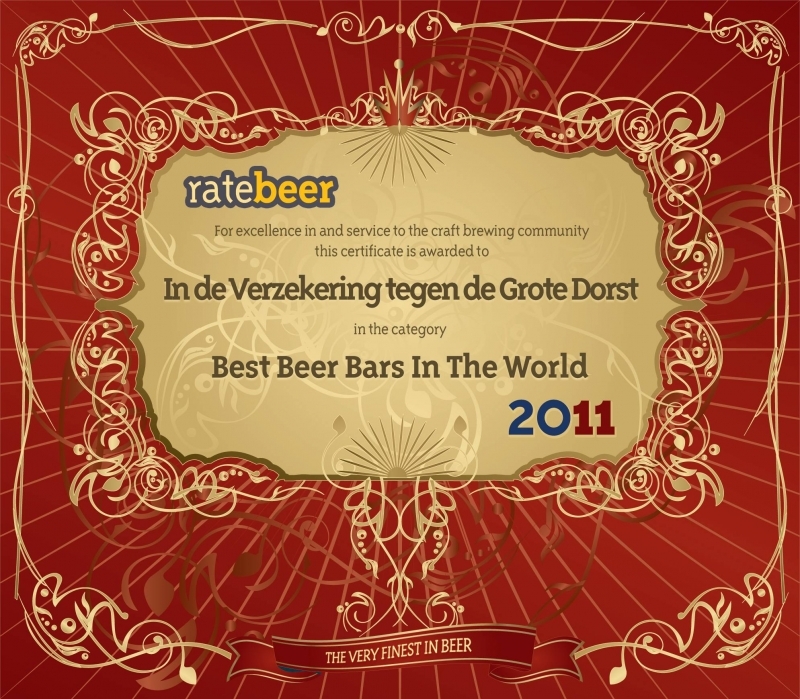 In 2011, RateBeer.com awarded 'In de Verzekering tegen de Grote Dorst' for the first time a Gold Award in the category 'Best Beer Bars in the World'. 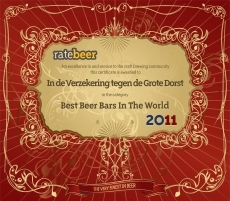 In 2012, our pub received once again from Ratebeer a Gold Award. In January 2015, 'In de Verzekering tegen de Grote Dorst' was named 'Best Beer Bar in Belgium 2014' and ended also 2nd in the List of 'Best Beer Destinations in the World', after restaurant Akkurat (Stockholm), and thus being also 'Best Beer Bar in the World 2014'. 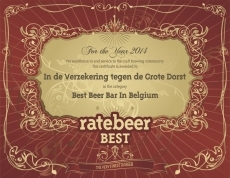 In January 2016, 'In de Verzekering tegen de Grote Dorst' was named for the 2nd consecutive time 'Best Beer Bar in Belgium' and ended also 2nd in the List of 'Best Beer Destinations in the World', after restaurant Akkurat (Stockholm), and thus being also 'Best Beer Bar in the World 2015'. In January 2017, the pub was named for the 3rd consecutive time 'Best Beer Bar in Belgium' and ended again 2nd in the List of 'Best Beer Destinations in the World', after Akkurat (Stockholm). 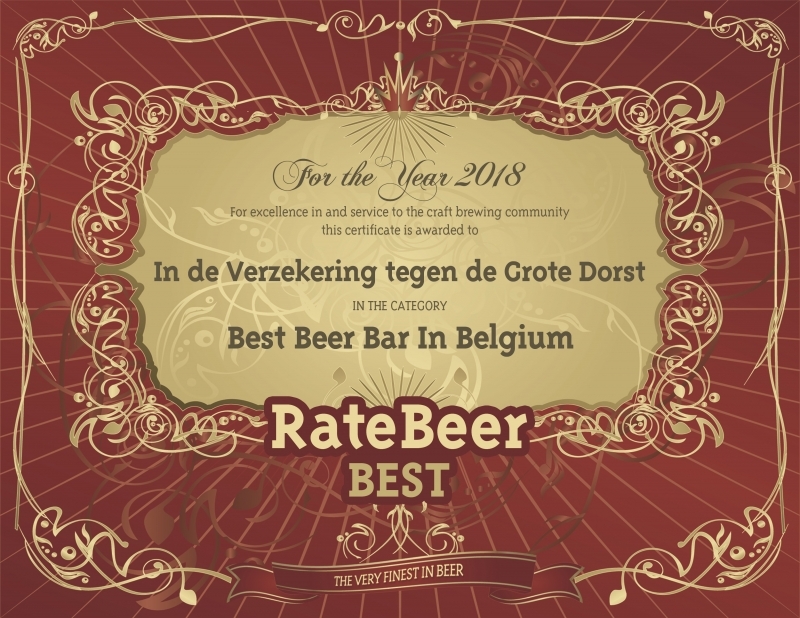 In January 2018, the pub was named for the 4th consecutive time 'Best Beer Bar in Belgium' and ended also first in the list of 'Best Beer Destinations in the World'. 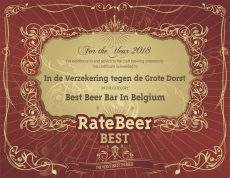 In January 2019, the pub was named for the 5th consecutive time 'Best Beer Bar in Belgium' and ended also for the 2nd consecutive time first in the list of 'Best Beer Destinations in the World'.